One of a raft of remastered releases with extras from a seminal band. When you open your account with a song like A Whiter Shade Of Pale, where else can you go? Nigel Tufnell of Spinal Tap asked the same question although he had the amp that went ‘one louder’, but if nothing else AWSOP guaranteed immortality and announced Procol Harum in grand style. Musical diversity and orchestral arrangements were the watchwords for Grand Hotel. A fresh line up, with guitarist Mick Grabham’s head being superimposed onto the cover, delivered the goods with the title track picking up the familiarity of the orchestral thread yet the variety provided by the likes of For Liquorice John and Bringing Home The Bacon meant that Procol weren’t going to stand still. The album’s tongue in cheek song, A Souvenir Of London, courted a minor storm at the time, banned by the BBC for its reference to VD, but isn’t all publicity good publicity? 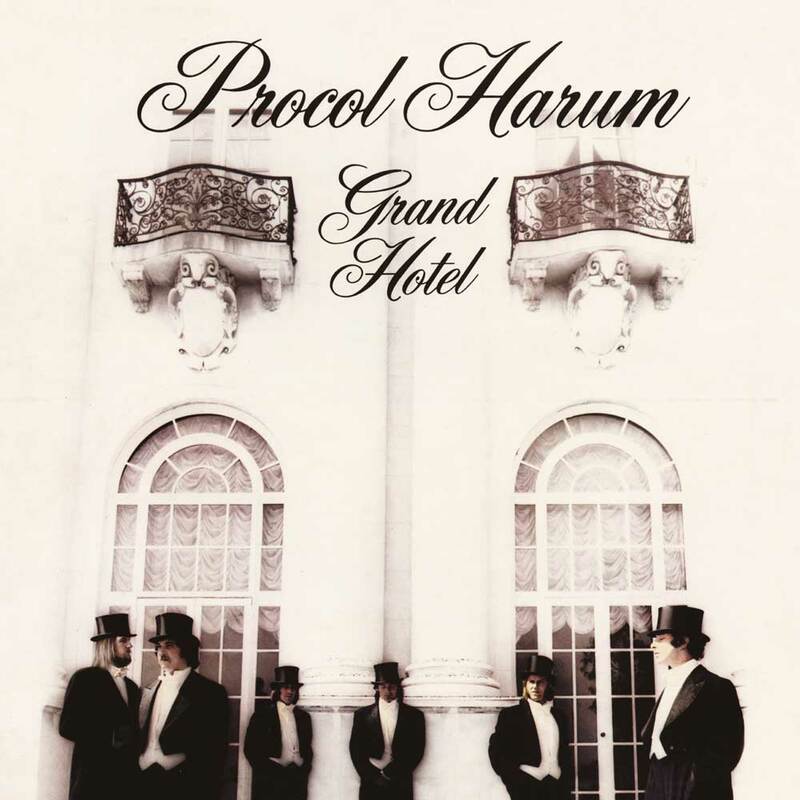 And were not Procul Harum a band who rarely touched the edges of controversy. As usual, the selling points of such re-issues and remastered albums is the extras that rise to the surface. In this case, the bonus tracks include an intriguing version of Grand Hotel without the added orchestra or choir which gives a less bloated view of the song. There are also four cuts from the album that include guitarist Dave Ball, who was still with the band as they formed the album in its earliest stages and allows a side by side comparison of what PH lost with him yet gained with Mick Grabham. A bonus DVD from Belgian TV, filmed in November 1973 and previously unreleased, makes up the set. The Belgians were always very supportive of some of the more inventive music and bands coming from the UK and as you’d expect, a period piece, the band set up in a stark studio running through much of Grand Hotel, plus a couple of choice cuts. No Whiter Shade, but A Salty Dog gets a look in. Concluding with A Souvenir Of London, Gary Brooker donning a cloth cap and briefly affecting a cod Cockney accent, the occasionally overblown and plentiful helpings of quivering organ gives way to jugband skiffle with banjos and mandolin .- not something you see every day from one of the UK’s leading progressive beat groups.